Meat Free Monday is a campaign dedicated to getting people thinking about reducing Greenhouse gases by leaving meat out of their diet for one day a week: yes, you guessed it, Mondays. We’re proud to support such a great idea that’s so good for the environment. But not only that, going meat free can be a healthy choice and reinvigorate your weekly meal choices, after all, it’s always good to mix things up in the kitchen. To make it quick and easy to get involved in Meat Free Monday we’ve put together five of our favourite meat-free dishes. This tasty colourful salad makes a delicious summer supper. Cooked frozen soya beans work just as well as fresh. 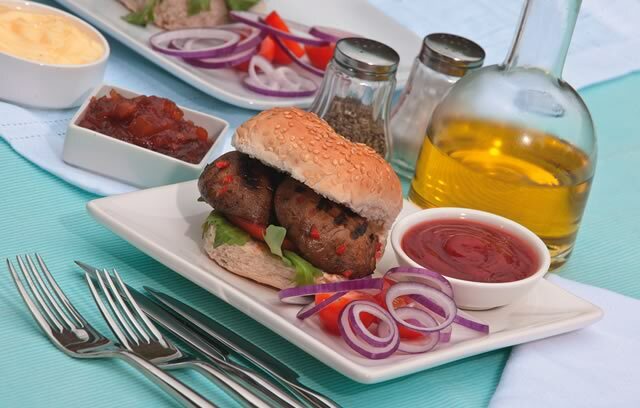 Fancy a satisfyingly juicy, filling alternative to beef burgers? Chunky portabella mushrooms are full of flavour and meaty enough to take a good grilling. Everybody loves spag Bol and this Quorn creation is a delicious take on a family classic – and meat free too. It’s just another Mushroom Monday! These individual calzones are filled with mushrooms and creamy mozzarella. Full of cardamom, cloves, coriander, and cumin seeds this vegetable curry will add bags of flavor to any Monday evening. Good with lots of freshly boiled basmati rice, or naan bread.